Recently when I was browsing through articles on WordPress.com with the keyword “Japan”, I came upon a post by Tyran Grillo about the book “Mr. Turtle”, an award-winning science fiction novel by Yusaku Kitano which Tyran himself translated from Japanese to English. Having been interested in translation personally for some time now, especially that of fiction literature, I couldn’t help but send him a message and see if he was interested in an interview for my blog. To my delight, he almost immediately responded that he was interested in participating. According to his bio on Kurodahan Press’s website, Tyran has translated nine books and many short stories, and is pursuing a Ph.D at Cornell University with a focus on animals in contemporary Japanese fiction and film. Q: Your biography is pretty impressive, with translations from popular authors such as Koji Suzuki (creator of the famous “Ring” series). What got you into translation and how long have you been doing paid translation work? What got me intro translation was the first novel that I translated (Hideaki Sena’s Parasite Eve) and published through Vertical in 2005. My best friend in high school, an exchange student from Tokyo, regaled me with his summary of the story (I was also familiar with the popular Playstation video game it inspired), and I vowed to learn Japanese well enough to translate it. He gave me his personal copy of the book right then and there, and I obviously stayed true to my word. Once finished with a draft, I pitched it blindly to Vertical, who had by that point already contracted two other translators to render the novel into English, with apparently less-than-ideal results, and were steeling themselves for a massive editorial headache by smushing both translations into something coherent, when here I came out of the blue with a singular solution. None of this is meant to suggest that my translation was better. Being my first (I was still an undergrad with only a few years of Japanese under my belt at the time), it contained many errors that had to be fixed in the proofing stage, and I benefitted greatly from my editor and the author himself, who as a working scientist was fluent enough in English to kindly read and comment on the entire manuscript. I can only explain my unbelievable luck by the mere fact that I had been motivated by a genuine desire to (re)tell its story to a new readership, whereas the other translators who’d previously worked on it might very well not have chosen it had they not been contracted. Passion counts for everything in literary translation, and thankfully over time my technical skills in that regard have risen to near-equal levels. Q: While I haven’t read “Mr. Turtle” yet, it sounds like a very unique work that would be great fun to translate. While reading a review of it in The Japan Times, I came across the curious phrase “frustratingly simple sentences” used to describe part of the book. What sorts of things made this project difficult or memorable? Precisely that. Mr. Turtle consists of very short paragraphs, most of which are only a sentence or two long, lending it a staccato feel. Just as it seems to have jarred reviewers, Mr. Kitano’s structure posed fresh challenges to me as a translator. I had to remain faithful to that structure, while also bringing out the underlying flow as I saw it operating throughout the text. The book’s surreal edge also made it a particularly brain-busting project, as certain cultural references that would make no sense to non-Japanese readers begged reformulation and, in some cases, outright substitution. The author’s penchant for wordplay and portmanteaus was cause for further consideration, but freed rather than hindered me to flex my creativity in response to their whimsy. Despite, if not because of, its difficulties, Mr. Turtle was by far the most enjoyable translation I’ve done. Q: I’ve only dabbled in translation myself, but it seems like searching for work may take up a significant amount of time of a pro translator. How do you find work and what do you think the best way to break into this field is for those who think they have the potential, but little or no published work yet? Did you do unpaid translations before you made it big and do you think that helped you land jobs? As Parasite Eve was my first translation, I never preceded it with unpaid work. I’ve since, however, built up a small backlog of translations (four novels and a smattering of short stories and academic articles) for my own pleasure and/or edification. Most will likely never see the light of day in print for a variety of reasons. Primary among those reasons relates to my biggest advice to those wanting to break into the professional translation game: if there is a text you are intent on publishing, make sure you secure the translation rights before you translate a single word. This protects you if and when you decide to pitch your translation to a publisher, who may not even look at it without those rights in place beforehand. Nothing is more deflating that finding out, for example, that an entire book into which you’ve poured months of work has already been contracted to someone else. I know this from personal experience, and it was heartbreaking. Lesson learned, but one I would never wish upon anyone. Thankfully, securing rights is relatively easy, unless I’ve just been fortunate in that regard, and may entail nothing more than emailing the author or the author’s publisher directly for written permission. For those translators working, like me, from Japanese to English, I am always willing to share my rights-seeking letter, a template of which I’ve perfected over years of refinement. Q: What sorts of translation tools do you use, if any, and what key feature(s) do they have that helps you work faster or better? My go-to dictionary has, and always will be, Jim Breen’s fantastic WWWJDIC. Its comprehensive and contains many great example sentences to see how words are used in context. And for difficult kanji lookup, my app of choice is Midori (available in the iOS App Store), which allows me to write a kanji directly on my screen. Google Japan also helps for obscure and unfamiliar terms. None of these resources is dispensable. Q: The capabilities of automated translation systems seem to have advanced rapidly in the last few years, though the Japanese/English language pair is apparently lagging behind others (like Spanish/English). What are your thoughts on how automated or partially-automated programs are changing the field now and will change it in the next few years? This question reminds me that I forgot to include one vital resource to the above list: native Japanese speakers. Whenever dictionaries and my own intellect fail, I rely on native speakers to help me through the most vexing linguistic conundrums. Without them my work would suffer, and I imagine even the most experienced translators would readily admit the same. I don’t think automated translation will ever fully replace its human counterpart, but it does have an undeniable functional value and has allowed people to communicate across a wider range of cultures (especially on ubiquitous platforms such as Facebook) in ways impossible without it. There is, for example, another iOS app called Yomiwa, which brings up definitions of any Japanese text fed through your phone’s camera. While still buggy and not something I would use myself, I can see it being of great help to travelers who want to know the gist of something in a flash. Q: Besides things like reading a lot of works in both languages, is there anything else you do, or have done, to actively improve your translation skills? Traveling to Japan as much as possible (though I’ve certainly been there far less often than I would like), crosschecking existing translations with their source texts to see their own practices and idiosyncrasies in action, and keeping up with the work of translation theory scholars (I studied translation theory intensely for three years as a master’s student). 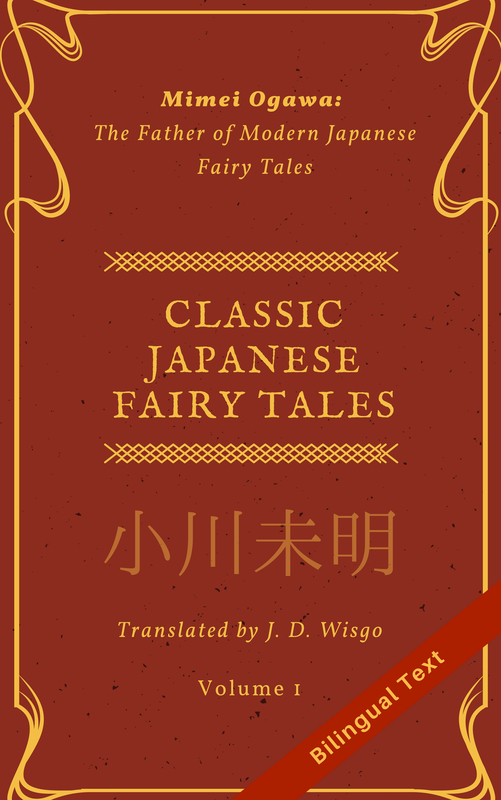 Most recently, I was honored to be asked to serve as a judge for Kurodahan Press’s annual translation contest, for which I had to read nearly 90 anonymized translations of the same short story. It was an eye-opening and educational experience. Q: There seems to be a different skill set for translation and editing, since someone who can make good translations may still be prone to mistakes. Do you actively work to polish your editing skills? On the paid projects you have worked on, is there often someone involved who just focuses on editing, or is it all up to you personally? I typically copyedit a translation, even of novel length, at least 10 times before calling it drafted. In all the work I’ve published, I’ve had the fortune of working with skilled editors across the board. Translators, like all published writers, would fall short of their full potential without one. Q: Do you have any plans or ideas for after you graduate that you would mind sharing with us? As I am currently finishing up my Ph.D. in Japanese Literature at Cornell, I am looking to stay on in the academic sector as a professor in Asian Studies. Because my work also intersects with Animal Studies (including Posthumanism), Gender Studies, and Comparative Literature, I hope to remain active in those fields as I continue to strengthen my profile as an interdisciplinary thinker. I also pursue a side career as a music critic, having written nearly one million words on my blog, and write frequently for major magazines (both online and in print) on jazz, classical music, and film. I will continue to do this as long as there is music to listen to. Q: Do you have any final words for budding tamago translators? Translate what you love; love what you translate. Thanks very much Tyran! Best of luck on your future endeavors.